Diabetes is a chronic disease which is sweeping our globe in epidemic proportions. In the U.S., there are millions of new cases being diagnosed every single year. In my opinion, the only method we have at our disposal is to try and prevent the disease from ever developing. 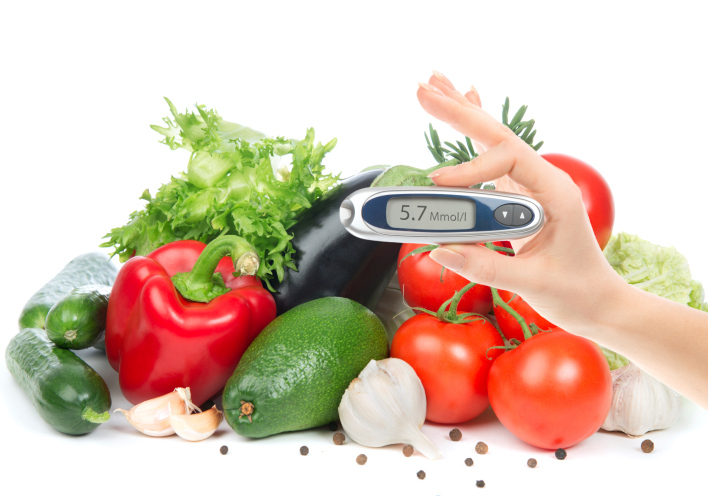 There are some foods which, if eaten regularly, may help prevent type 2 diabetes from occurring in our adult populations, according to some exciting new research. Researchers conducting a study with healthy adult women have found that the intake of certain foods like grapes, tea, berries, and wine can improve blood sugar and insulin sensitivity, and decrease blood markers of inflammation. The researchers found that the women who consumed the highest amounts of the active chemicals in these foods called anthocyanins had lower levels of inflammation and were less likely to suffer from diabetes, cardiovascular disease, and obesity. The participants who consumed the highest amounts of these chemicals also had the highest levels of a hormone called adiponectin. Adiponectin is secreted from fat cells and its secretion is associated with lower levels of body fat, improved insulin action, lower blood sugar, and pro-inflammatory chemicals. The important issue here is that the consumption of these foods had the same risk in lowering diabetes risk as if the participants walked for one hour per day or consumed a lower fat diet for one year. I am in complete agreement with this statement as the addition of specific foods to the diet in addition to proper food choices, appropriate portion sizes, and the participation in a regular program of physical activity, could very easily have a cumulative effect in lowering the risk of developing diabetes. These phytochemicals found in fruits, vegetables, wine, tea, and some legumes like soy can greatly influence our physiology. Not only do they affect glucose metabolism, but they also lower blood pressure and cholesterol,​ and prevent the oxidation of various molecules from free radicals. They can substantially lower the risk of developing chronic diseases like diabetes, heart disease, stroke, and dementia. This type of diet, especially if it also contains healthy essential fats, can also improve longevity and prevent premature death from a poor physiology. A good example of a typical nutritional style of eating which incorporates all of these factors is the Mediterranean diet. Nainggolan, L., “Fruit, Tea, and Wine Could Guard Against Type 2 Diabetes,” Medscape web site; http://www.medscape.com/viewarticle/819451, last accessed Jan. 28, 2014. Jennings, A., et al., “Intakes of Anthocyanins and Flavones Are Associated with Biomarkers of Insulin Resistance and Inflammation in Women,” J. Nutr. February 1, 2014.